Lucky me... these pictures were waiting for me on my news feed page in FB last night and I immediately knew I was going to share them with you today. 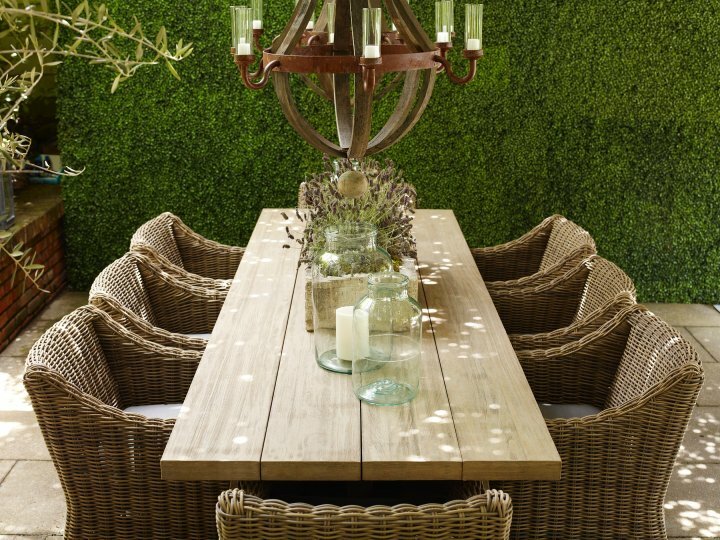 I'm loving the look of barn boards as outdoor dining tables. And, I especially love the chandeliers hanging from the pergola as I mentioned before here. 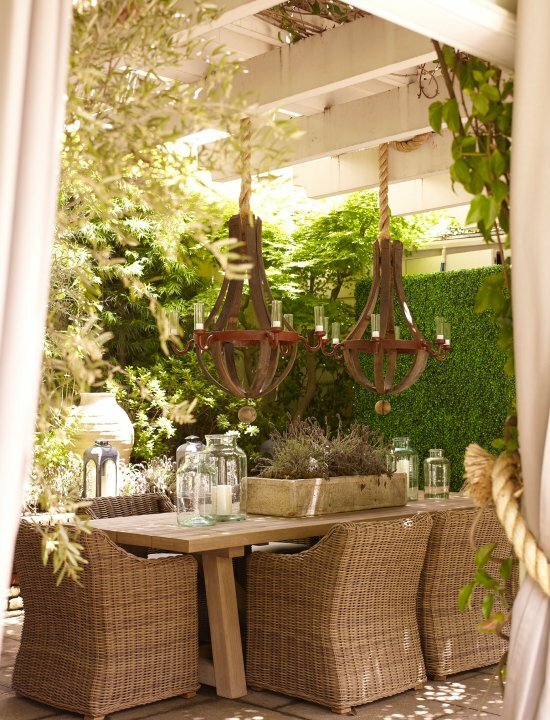 Here's another barn board table and lantern light I love - just imagine it outdoors.